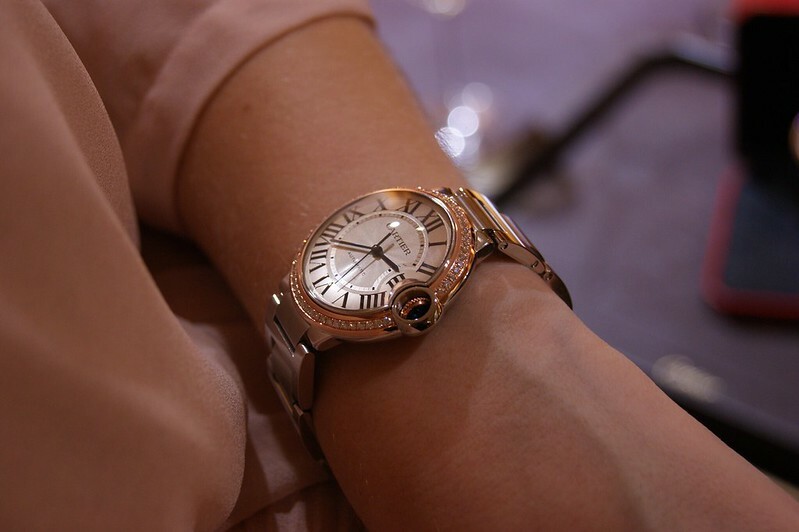 Cartier has always been a brand that represented mystery, luxury and the finest form of craftsmanship to me. I first got acquainted with the brand when I was studying the life of the late Grace Kelly for a history assignment, whom was a loyal fan of the jewelry house and wore their pieces on multiple occasions. The second time that the house of Cartier caught my attention was when they published their iconic advertisements, using baby panthers instead of models. I love cats; they're mysterious, agressive yet graceful and I've owned them my entire life. And recently, Erin Wasson, one of my favorite models, became the face of the Cartier La Panthère fragrance campaign. Whenever my parents, sister and I would cross a Cartier window, we would stop and stare at all the beautiful jewels displayed. Each of us would point out and discuss their favorite pieces and every time we would take off again, I would walk around in a daze for just a little bit longer, dreaming of all the beauty I just witnessed. In a way, Cartier always seemed like something unreachable. 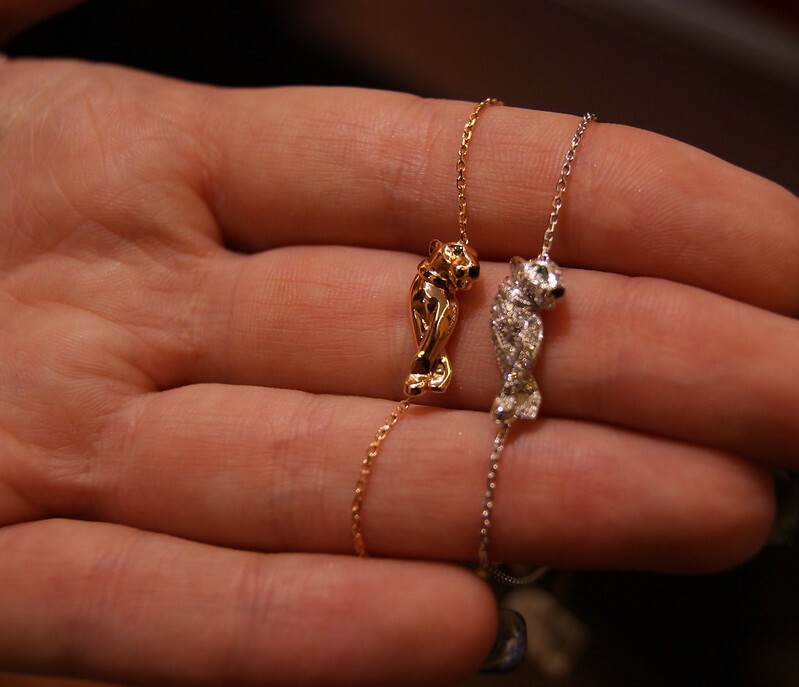 So when I received an invitation from the Cartier store in Brussels, asking me if I would like to discover pieces of some of their most iconic collections, I was over the moon -- literally. When I arrived at the store, I got the warmest welcome and was told that we were allowed to touch, photograph and try on everything we wanted. Talk about a dream come true! It took me forever to edit these pictures and to prepare this post, but I'm so excited to share them with you. 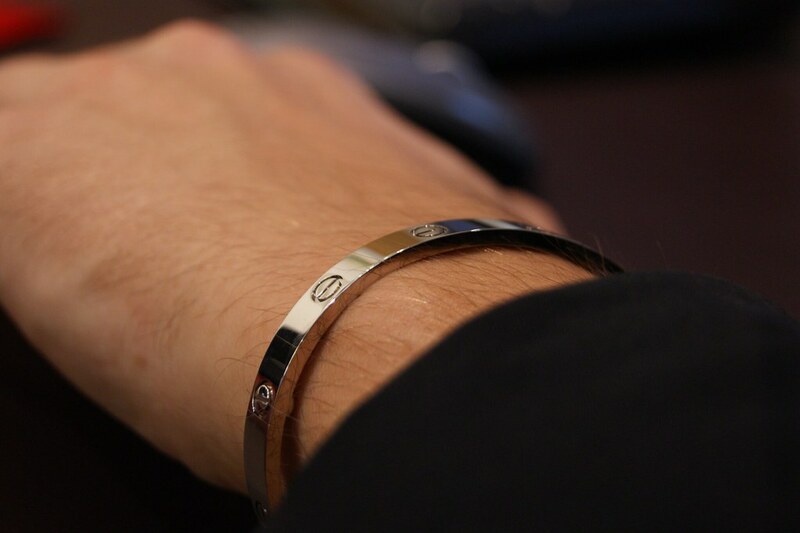 Be prepared for a jaw dropping, Cartier overdose! P.S. : Be sure to keep on reading, because I saved the best for last. First stop was the watch department, which started the Cartier empire. Louis Cartier, founder of the brand, initially started with designing watches. 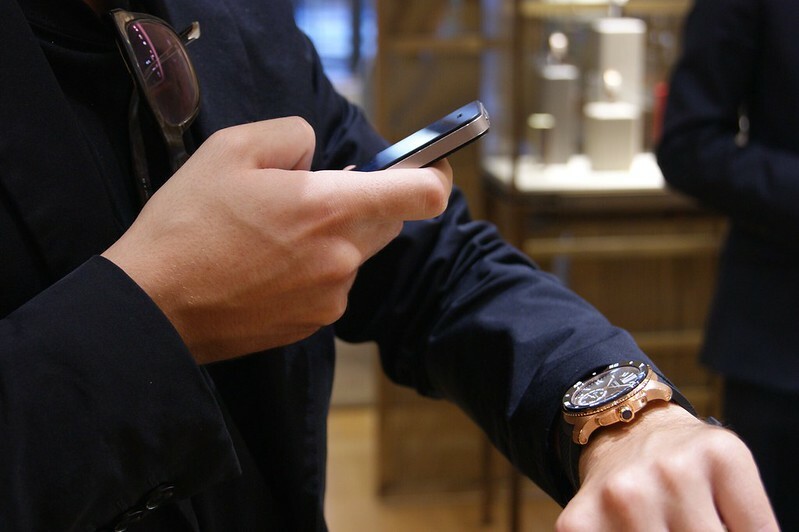 Cartier is constantly researching their customer's wishes and needs, coming to the conclusion that women nowadays wear watches as a piece of jewelry more and more, rather than a tool to find out what time it is. I must admit that I'm one of them: I wear a watch, but if I want to know what time it is, I look at my cell phone. That being said, Cartier decided to take their watches to the next level, upgrading them with diamonds for example; like the Ballon Bleu de Cartier watch that I'm wearing on the picture above. I took my bestie Dario along with me to the event; to share this special moment with him and to thank him for his constant support and appreciation when it comes to the blog. 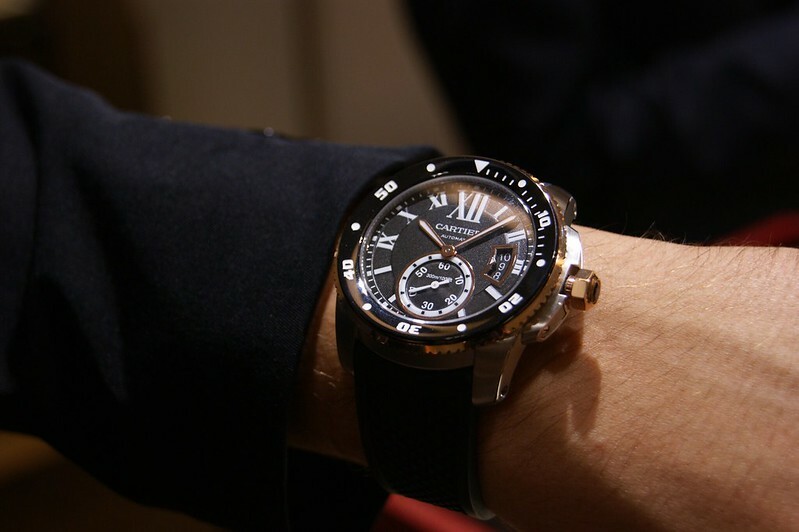 We also took a look at the watches for men and Dario fell in love with the black beauty above: the Calibre De Cartier Diver. Even though this watch was designed for divers - it can go up to 300 metres underneath the surface - I think it's the perfect accessory for both sporty and chic outfits. We then got to discover the Jeanne Toussaint Fine Leather Goods collection, which is an hommage to the Cartier muse in the 1920s. Jeanne Toussaint started in Cartier's accessories department, but was promoted to director of jewelry thanks to her bold and unique sense of style and vision. As an appreciation of the legacy that Jeanne left behind, Cartier created a line of bags in her honor. 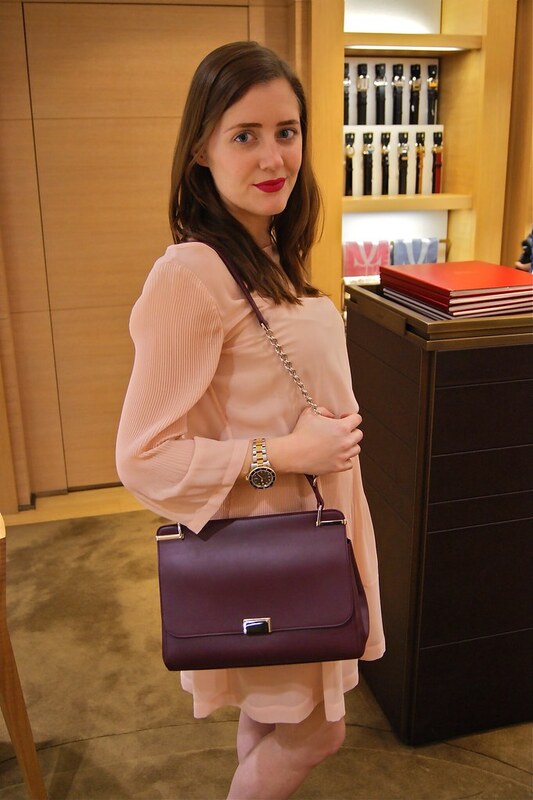 I totally fell in love with this burgundy beauty: the Jeanne Toussaint Chain Bag. With both a top handle and shoulder strap, it's the perfect bag for every occasion. Looking for something bold? The print on the flap is inspired by a piece of clothing that Jeanne Toussaint would wear. 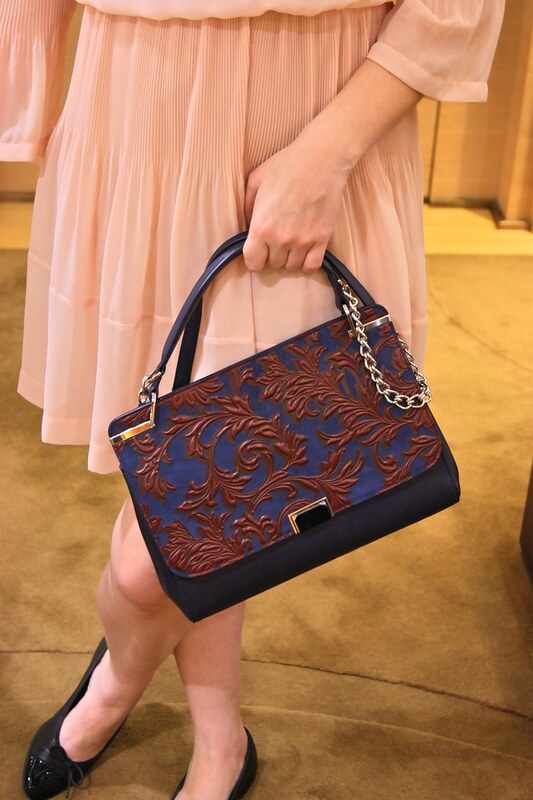 The most exlusive piece of the collection is the Jeanne Toussaint Tote Bag, which is partially made out of crocodile skin. The bag is inspired by the vanity case, which shows in the zipped department on the bottom -- you can store jewelry or other personal belongings in there. Only 50 pieces are being sold worldwide. 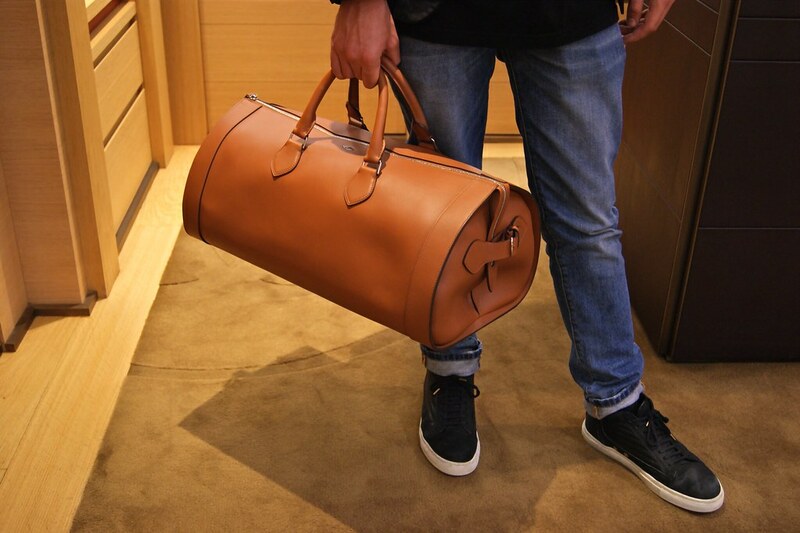 We then moved on to the Louis Cartier collection, which contains bags especially designed for men. Louis Cartier, founder of house, loved to travel and his passion became the main source of inspiration for this collection. It was only natural that Dario and I switched roles: he took place in front of the camera and I stood behind it. 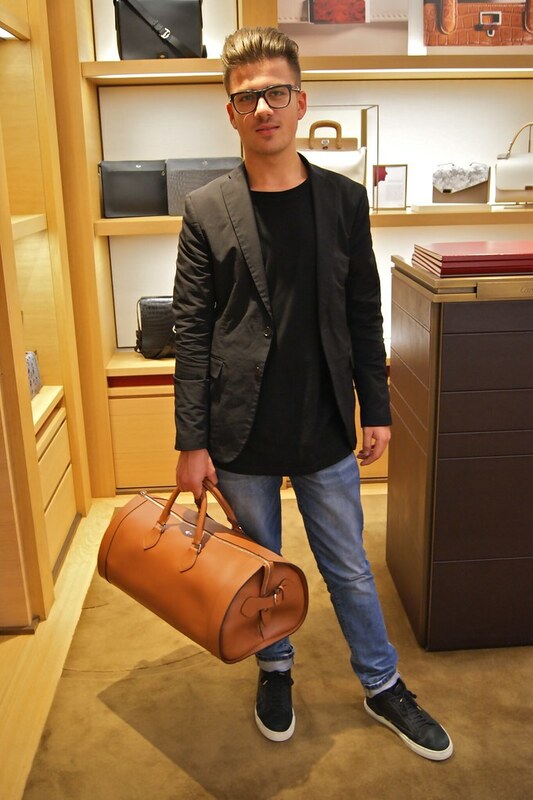 In the picture above, Dario is showing the 24 Hour Bag, which is - what's in a name? - perfect for a day of travelling. 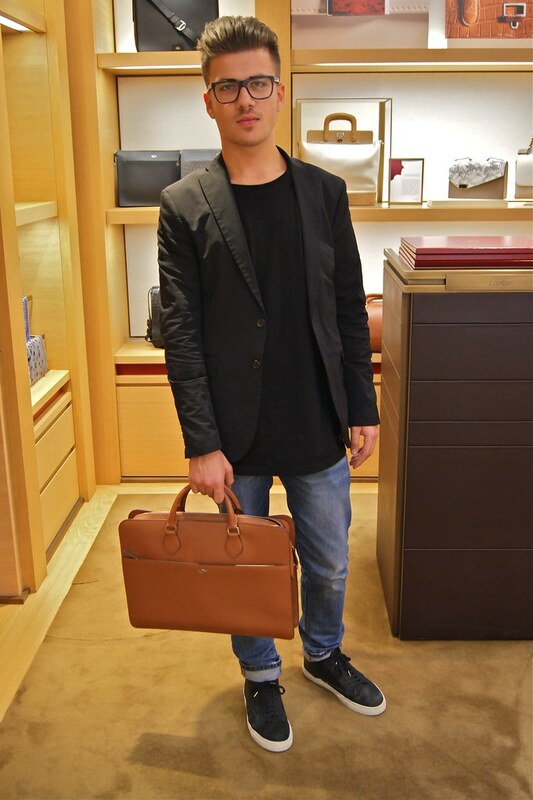 Dario is carrying the Document Holder; I guess I don't need to explain the bag's use any further. 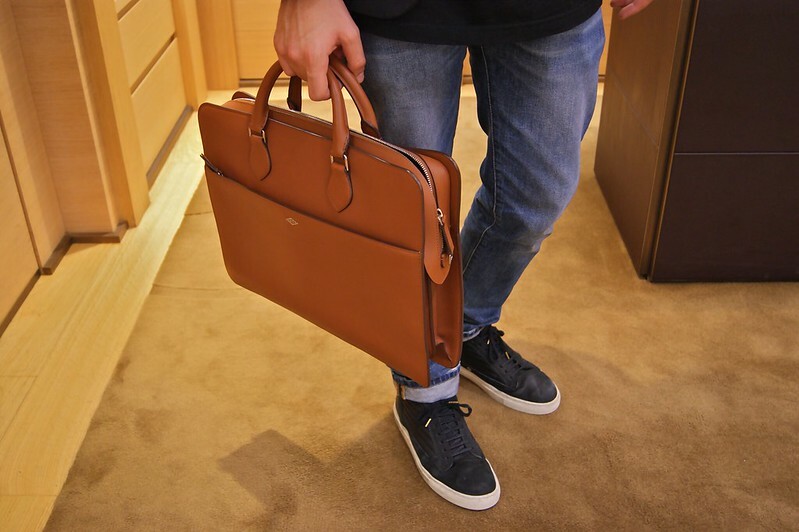 It's perfect for business men and, depending on the size, it can also hold a laptop. 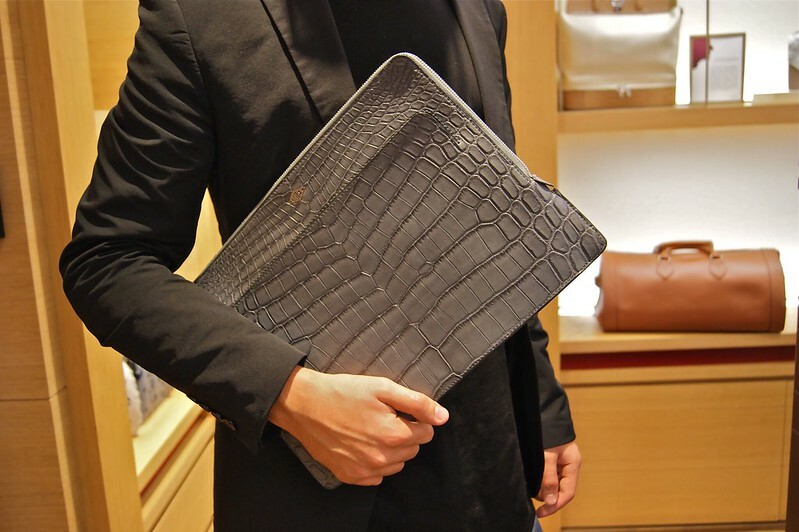 Next up is the Portfolio Bag, made out of crocodile skin. I guess you can compare it to the Document Holder above, except that it has different measurements and it has no shoulder strap. 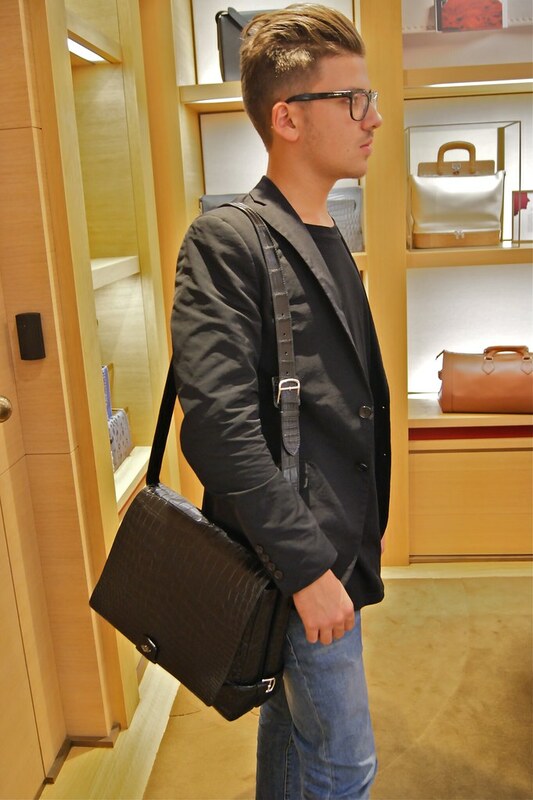 And last but not least: the Messenger Bag in crocodile skin. 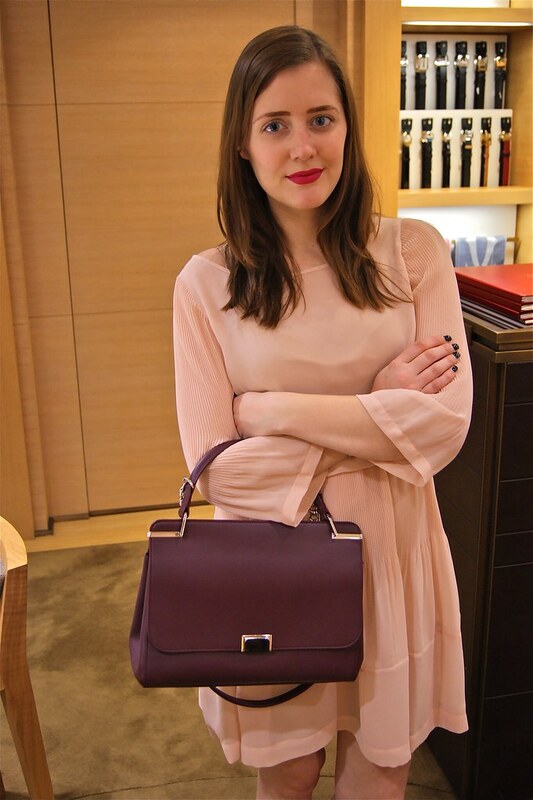 The bag is perfect to wear to business appointments or during a day off as well. 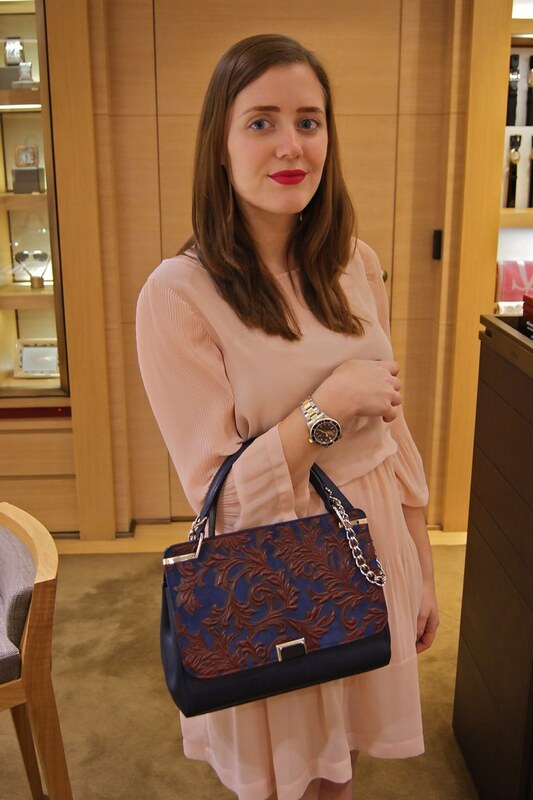 After the bags, it was time to do what we was the initial purpose of the invitation: to discover the Panthère De Cartier collection. The panther has been the symbol of the Cartier maison since 1914 and Cartier celebrated that 100 year anniversary with a new collection, inspired by this gorgeous creature. And it was Jeanne Toussaint again that turned the panther's legacy into what is now, using it in the most creative ways possible and turning the animal into a true icon. Girl power! Rings, bracelets, necklaces, earrings ... The panther has it all; and it's amazing. You can find the white gold ring that I'm wearing in the picture above here. I was also told that with this collection, Cartier is trying to focus on a younger public, wanting to capture their attention by re-designing some of their classics with a modern touch. To me, their point of view was definitely visible throughout the collection. Cartier loves to work with gold, white gold, rose gold, diamonds, emeralds and so on; and this all shows in this collection. I love these rings since they're subtle, yet eye catching at the same time. Plus, I also think that these rings are suitable for both a younger and a more mature public. I feel that this ring would definitely attract the younger public of Cartier. I love how it seems that the panther's just casually lying on your hand. Even though it might not seem like it, this ring is very practical to wear and won't limit you while performing your daily duties. Score! 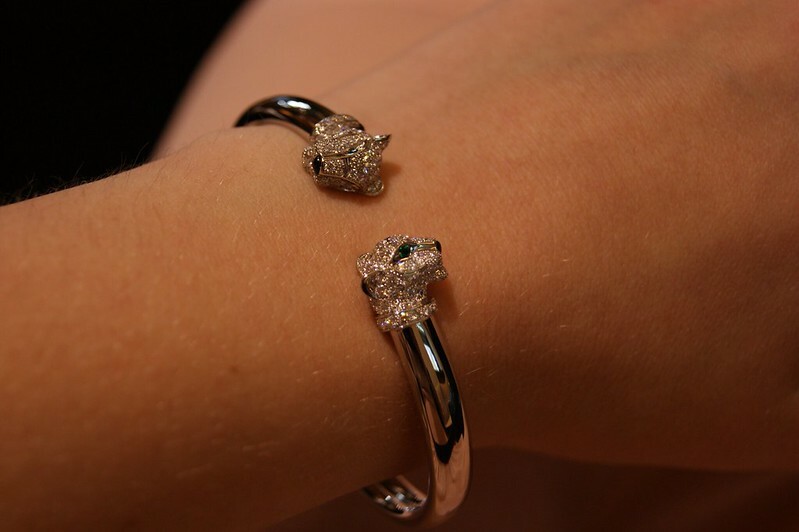 This two-headed panther bracelet is made out of white gold, diamonds, emeralds and onyx. To put it on or take it off, there's a special mechanism. It's very difficult to explain it if you didn't see it, but you basically have to 'pull' the heads in different directions and the white gold bracelet will twist so that the space between the two heads will broaden, leaving enough room for your wrist to go in or out. I hope it's kind of clear when I explain it like this, but I can tell you that it left Dario and I stunned when we saw it. Now how cute are these adorable bracelets? If you love a little luxe or some fine craftsmanship, but you like to keep it simple and low key, these bracelets are perfect. I (personally) would be scared to death to lose them, because the chain is so delicate. Which one's your favorite? The necklaces were simply amazing; it's simply unbelievable how the craftsmen at Cartier could create so many details at once. 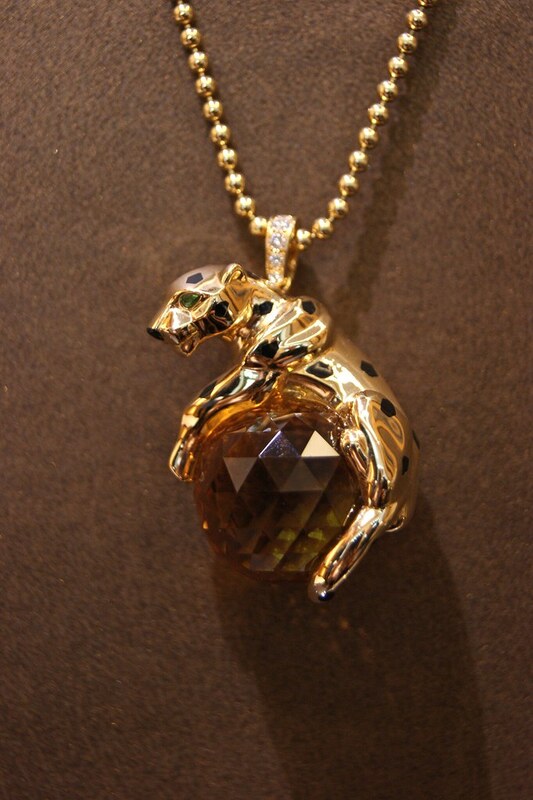 The necklace above shows a golden panther with emerald eyes sitting on a mandarin garnet bead. I love how this piece seems to have a vintage vibe to it. 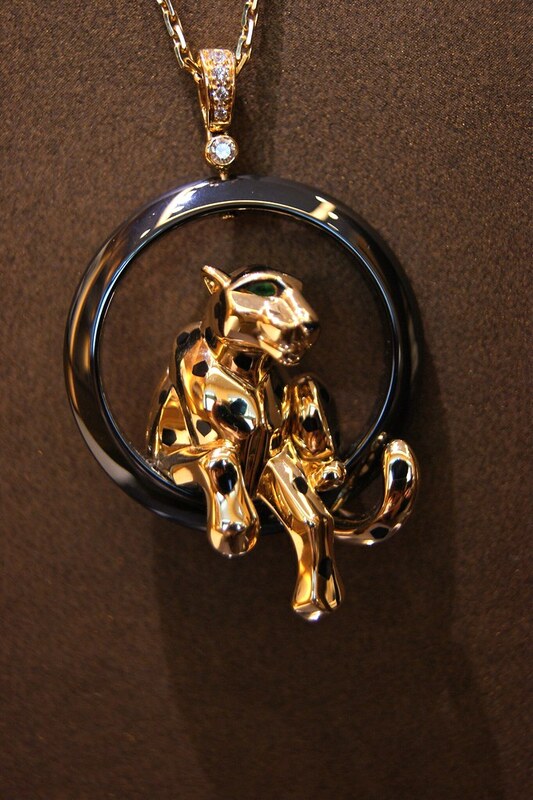 For those who aren't a fan of so much glitters and bling, there's the necklace above of a panther casually sitting around. It consists out of yellow gold, a ceramic ring, black lacquer, onyx, diamonds and tsavorite garnet. Tsavorite garnet is a gem that was first found in Tanzania. I got the chance to wear one of the absolute masterpieces of the Panthère De Cartier collection: this necklace covered in hundreds of diamonds. I felt like a true princess for a moment, even though I was too scared to move even an inch, because I was so afraid of damaging it. 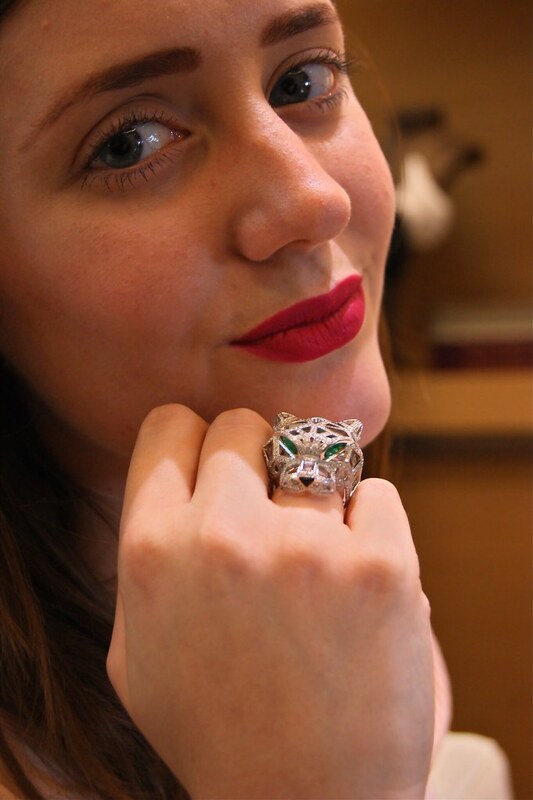 And now, it's finally time to show you my ultimate favorite piece of the entire collection: this insanely gorgeous panther head ring. The panther head ring has been my favorite design ever since I laid eyes on it. 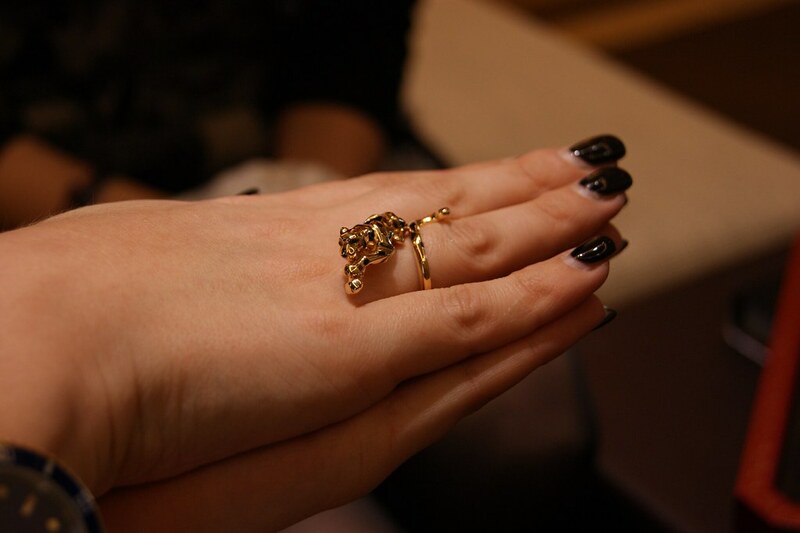 Until now, I only saw it in a solid yellow gold version, without diamonds and without cut out details. I just love the picture above. Doesn't it seem as if the eyes are lighting up? 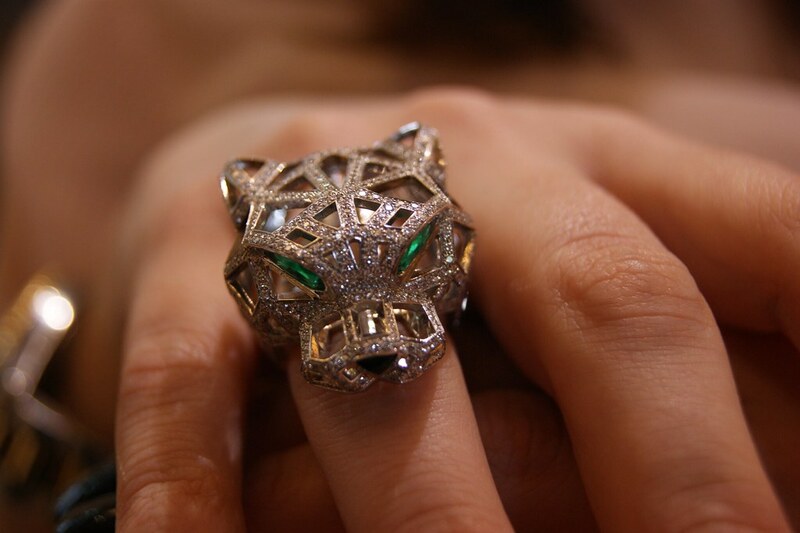 The ring consists out of 545 diamonds, two emeralds for the eyes and a touch of onyx for the nose. The cut out details are meant to turn the panther's head into a skull and was again designed with that younger audience in mind -- even though I think that this ring would look fabulous on all ages. Getting the chance to try on this ring was definitely a dream come true for me. 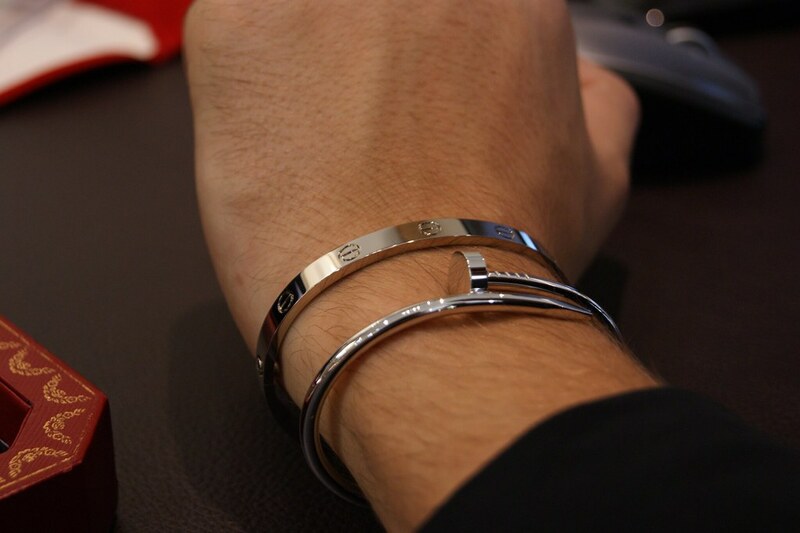 Before leaving and getting a major reality check again, Dario wanted to try on one last item: the Love Bracelet. Above is the Love bracelet in white gold; isn't it a beauty? The bracelet has been on my wish list for ages as well and is probably the one item that might ever have the chance to land on my wrist, even if it's in the far future. Even though the price tag might be too much for most people, I think it definitely is something you could save up for (if you have the will and strength to keep it up for a couple of months / years). The Love bracelet has (re-)gained major popularity in the last couple of years, since tons of Hollywood celebs wear it, but was actually designed way back in the 1970s. It was inspired by the medieval chastity belt and has been one of the ultimate symbols for inseparable love ever since. Unlike other bracelets, which are usually wide enough to slide over your hand onto your wrist or have some kind of mechanic to click open, the Love bracelet is designed in a way that it can only be opened with a special little screwdriver that comes with every bracelet. It basically comes to this: you give a Love bracelet to your loved one, or receive one from him / her if you're really lucky, you click the two pieces around the wist and then lock it all down with the screwdriver. The bracelet will be on your wrist forever and your loved one will keep the screwdriver with him / her, symbolizing a locked up and comitted relationship. Or, as Kanye likes to say it: " A love locked down". I just love the symbolism and story behind this bracelet and hope to own one myself someday; preferably gifted to me by my boyfriend or husband (even though both don't exist at the moment) or as a gift from me to me. The bracelet comes in various materials: yellow gold, white gold, rose "pink" gold, all set with diamonds ... and also comes in forms of cuffs, rings, necklaces and earrings. It's a unisex bracelet, so both women and men can wear it. We then also added the Juste Un Clou Bracelet, which was also designed in the 1970s and is inspired by the rebellious spirit and raw energy that was taking over New York City at the time -- even though I'm sure that that same spirit and energy are still there right now. 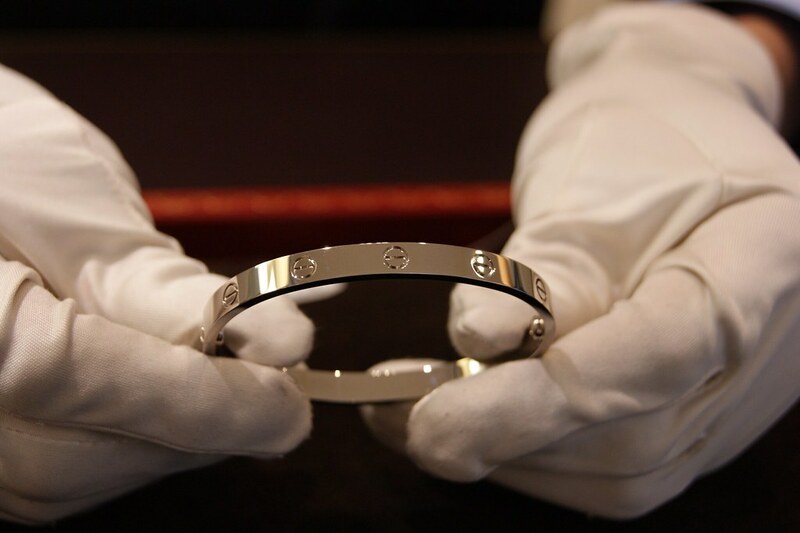 I was doing some research on the bracelet and I read that Cartier relaunched the design to re-connect with their younger clientele; just like I said before already. Well, I must say that the people at Cartier did, and are still doing, an amazing job because I'm completely hooked! So, that was the Cartier experience seen through my eyes (or my photo camera lens). 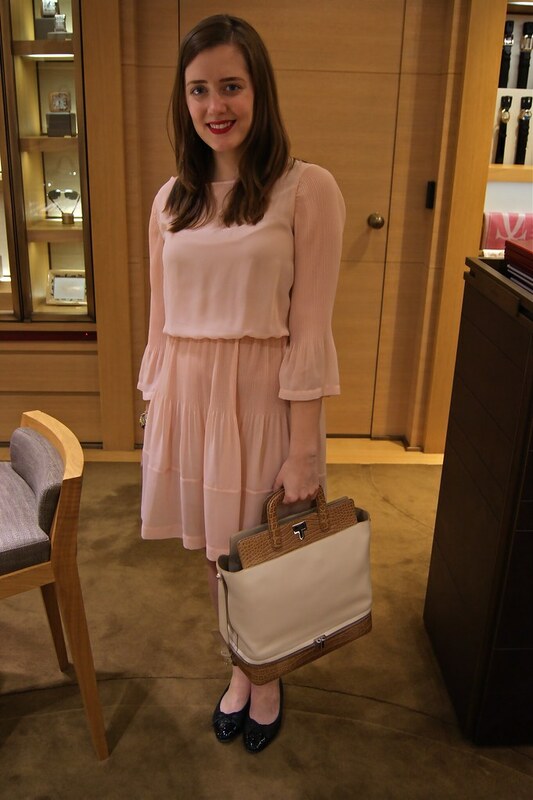 When opening the blog in 2009, I never would have thought that I would be at Cartier some day, trying on their most amazing pieces. I'm very grateful that I had the chance to attend such an amazing event; for the past couple of days I've been staring at all of these pictures, just wanting to pinch myself. 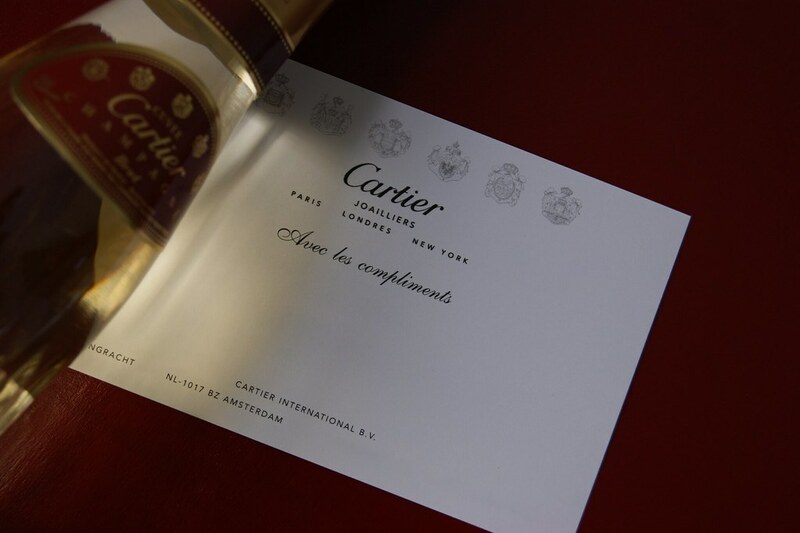 I would like to thank Cartier Brussels for the extremely warm welcome and for staying with us every step of the way. You have an amazing team and it was so beautiful to see how passionate everyone was when they were informing us about the history of Cartier or about a certain piece from the collection. I would also like to thank Laurence and Samuela in particular, you both know why! Lucky you. The bags collection is amazing! Cartier heeft toch zo'n mooie juwelen! Die Panthère De Cartier collectie is gewoonweg fantastisch! De 2 eerste tassen voor vrouwen zijn ook mooi! Wat leuk dat je daar aanwezig mocht zijn! :) Inspirerend geschreven! Wow gelukzak! Leuk zo een uitgebreid verslag! What a dream!! I'm sure you were so ecstatic to get the opportunity to try our Cartier! What a beautiful post. I enjoyed scrolling through and I was in awe. Waaaauw, dat is inderdaad als een droom! Wat een geweldig verslag heb je er ook over geschreven; super! Oh my god! Zag er een superleuk event uit :-). Als ik ooit stinkend rijk ben, koop ik zo'n love bracelet! Hmmm, mijn comment is blijkbaar weg, maar: als ik ooit stinkend rijk ben, koop ik zo'n Love Bracelet. Supermooi! A lot of work went into this blogpost (shooting pictures, editing them, coming up with written text ...) so it's SO nice to receive all this positive feedback! love the watches and of course the iconic bracelets! Cartier is idd een iconisch merk, ik ben wel fan van hun vintage (iets klassiekere) horloges - elegant en mooi. Looks amazing! 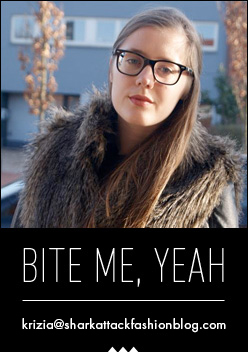 Nice blog and style you have! Keep up the good work!